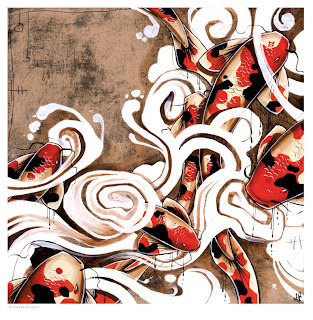 Due to overwhelming requests, inquiries and love off the Koi series, we are happy to publish this large print beautifully smooth semi matte paper. 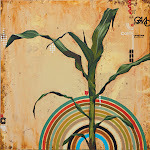 A limited edition of 250, 24" x 24" , 2" inch bleed, hand signed and number. Here's the best news, they are being offered for $60. for the last 7 years my wife and i have been quietly art directing, creating, and designing commercial projects for companies and individuals across the globe. 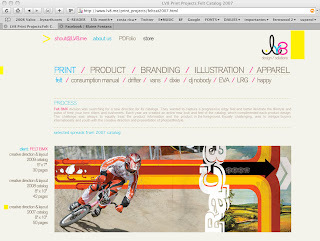 these projects have been print, product, apparel, and others. for the last 2 months on top of my regular fine art projects my wife and i have been busy designing, coding and implementing the birth of a collaborative design studio. LV8 is one new addition with others to come under fontana studios, soon a home product line will emerge.